Although the HealthCorps program has only been at Ramona High since August, we have made great strides in impacting students’ lives. 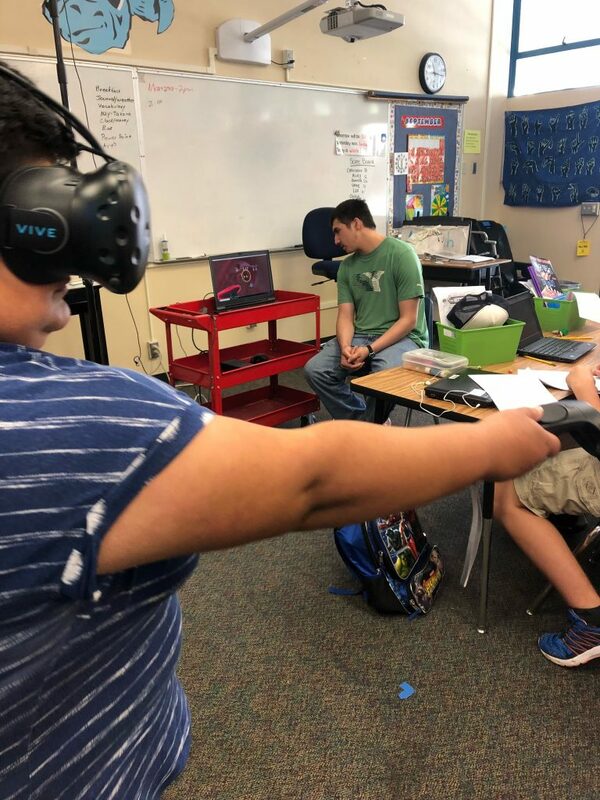 One of HealthCorps’ partners, Atkins, created a Virtual Reality game called Sugar Goggles with an emphasis on diabetes, how the body functions, utilizing friendly competition. One of the first people I met at Ramona High was William (Bill) Briscoe who teaches Life Skills in the Special Education department at Ramona. Bill is very supportive of the HealthCorps mission and invited us to set up the Sugar Goggles in his classroom. 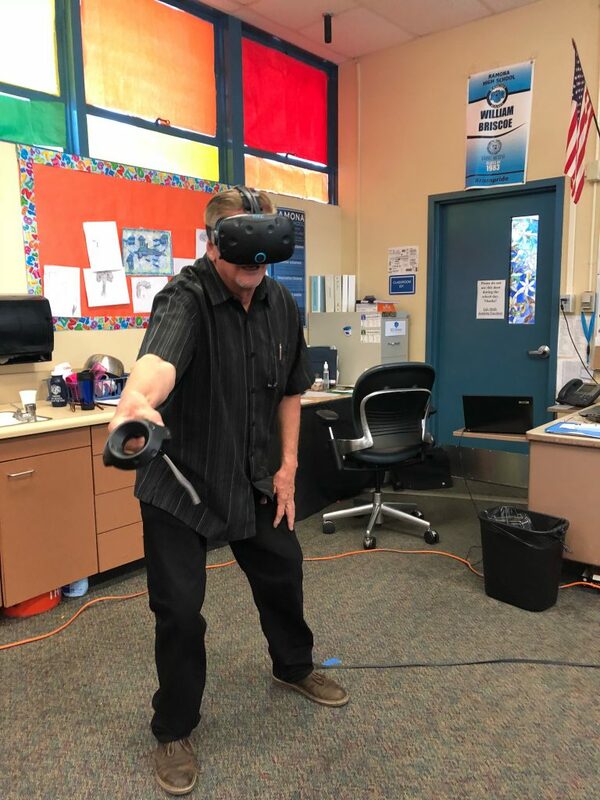 Some of his students have never experienced Virtual Reality, some of his students have diabetes, and all of his students like to learn. The students he works with are learning how to live healthy lives and Sugar Goggles have proven to be a great addition to his Life Skills class. Most importantly, the Sugar Goggles allow all students to play — regardless of any disabilities. For instance, Christian, a 10th grader, uses a wheelchair and was able to participate in the Sugar Goggle competition. 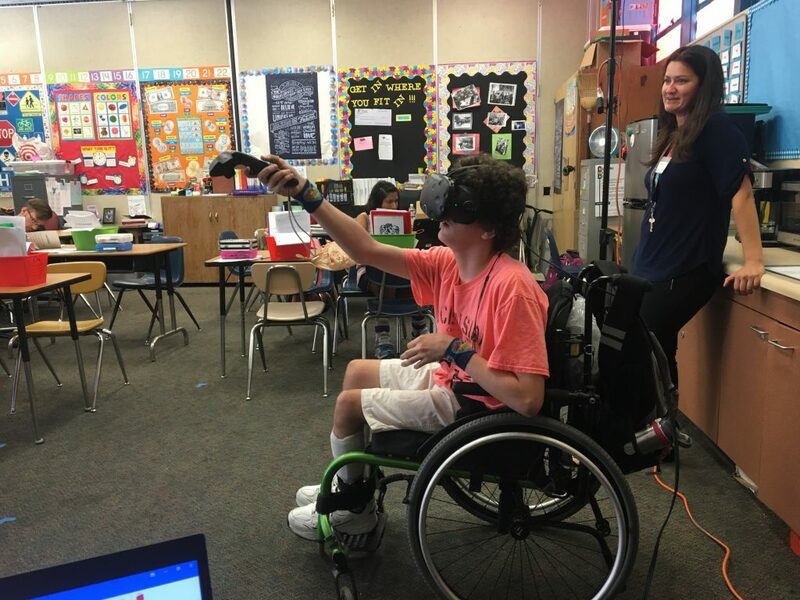 Over the course of two days, 25 students from all special education and severely handicapped classrooms had the chance to experience Sugar Goggles. Healthy eating, diabetes, and wellness were related their daily journal prompts before, during and after the Sugar Goggles were brought to Bill’s class. All class discussions were aimed to further their education on healthy eating and trying something new and healthy. Students were able to explain what they’ve learned through their journal prompts. Some answers are based on research, class discussions, and personal experience. For instance, these 10th graders answered the following questions in their journals. Both Cecilia and Carlos are diabetic and Special Ed students. Prompt: Look up the definition of Diabetes and write it down. What causes it? How can it be prevented? Prompt: Not all foods you like are bad for you? What foods do you eat that are okay? How come you like them? Prompt: Do you get to choose you eat, or do your parents pick your meals? Do they pick some bad foods? What and why? Good foods? What good foods? The Sugar Goggles exposed students to a different type of learning and gave me and Ramona High insight to how HealthCorps can be implemented into the community. The best thing about the Sugar Goggles is that all students were able to play and compete. A special thank you to Atkins for making this all possible!